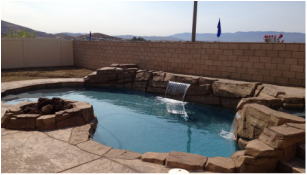 Pool Building - A Cut Above - Based in Menifee, Calif., A Cut Above Construction, Pools & Landscape Inc. is a turnkey Southern California swimming pool and landscape contractor. 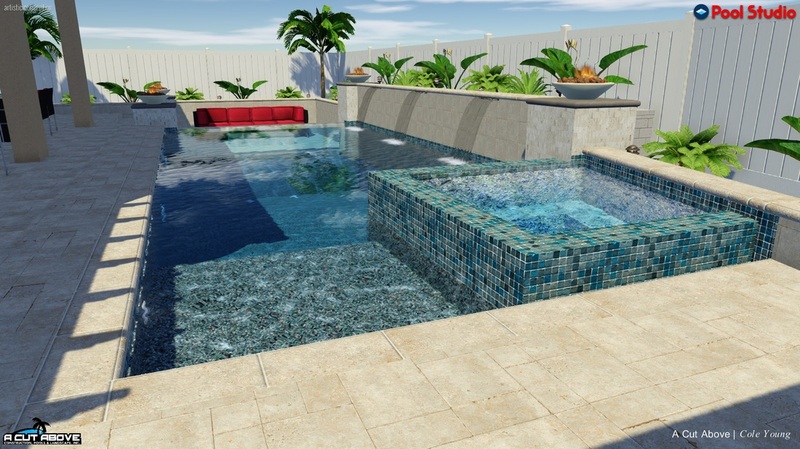 A Cut Above pools are a great choice whether you'd like something elegant, tropical, or in between. With numerous decorative options available, including tile and mosaics, A Cut Above can bring anything to life, from simple to extravagant. With everything we do, count on the A Cut Above for the highest standards for quality and workmanship. Learn more about our easy, five-step process toward realizing your backyard dream. Traditional pools from A Cut Above are a great choice for something elegant, yet not too tropical. With rock pools from A Cut Above, your backyard will become a tropical wonderland.